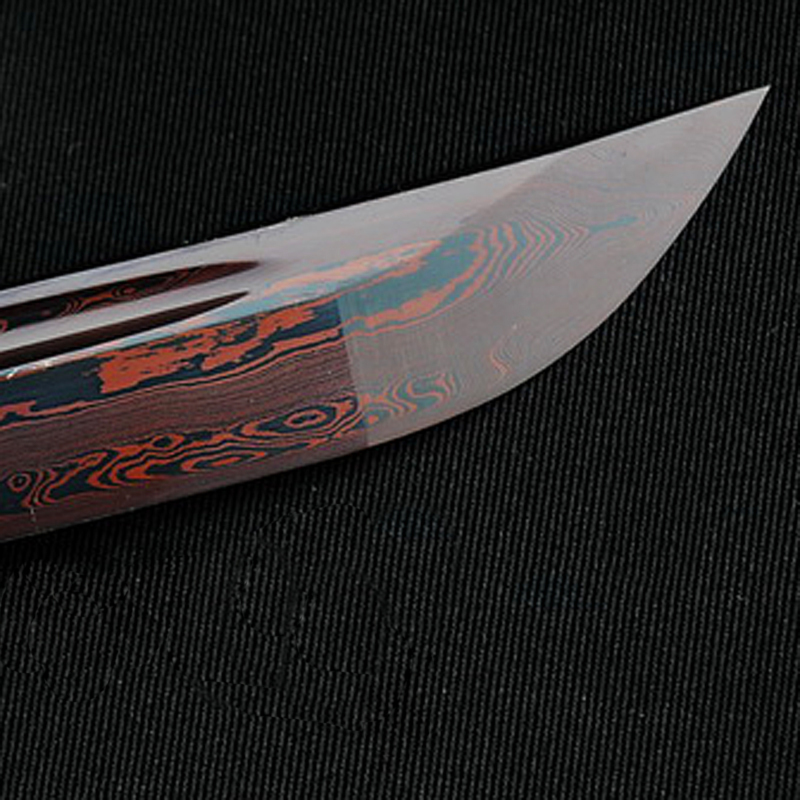 Mokume Gane is an ancient metalworking technique from Japan used in Samurai swords. The word, Mokume Gane means "wood grain metal", because of its resemblance to the grain in wood. During the process of Mokume Gane, thin sheets of two different metals are layered together and exposed to extreme heat and pressure until they fuse together as one. Mokume Gane is a popular metal for wedding rings because of its unique beauty and deep symbolism. Mokume Gane represents the perfect union of two souls that come together as one, yet maintain their individuality. Through pressure and heat, the two are fused together into one new inseparable creation that is stronger and more beautiful than either part was alone. Throughout the Samurai era, Mokume Gane was used in adornments that symbolized wealth and high status. Today it is popular in all kinds of jewelry because it combines the intricate natural beauty of wood, with the timeless durability of modern metal. 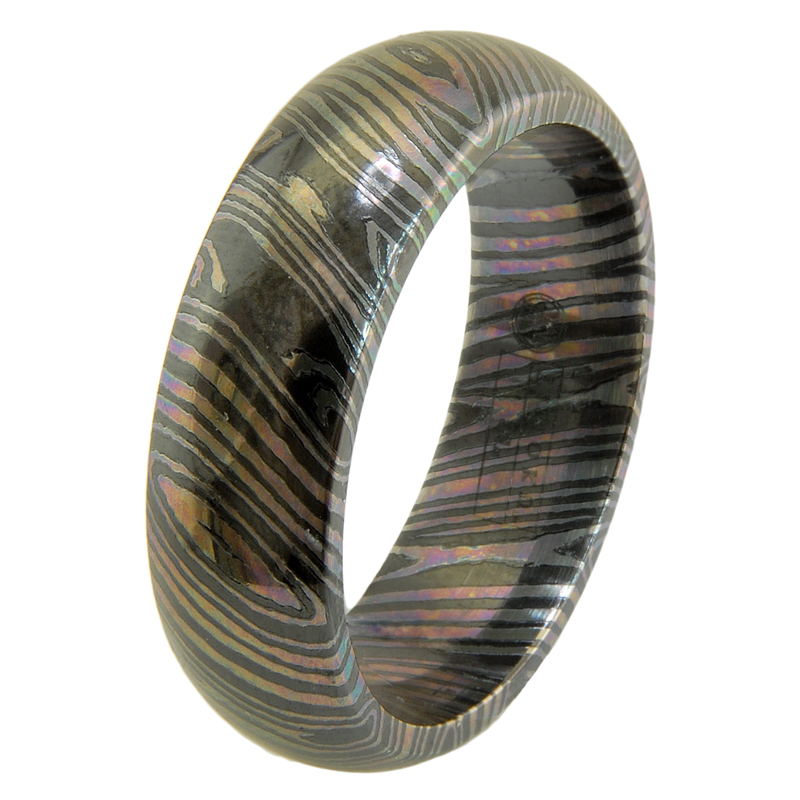 To view our Mokume Gane Wedding Rings online, please visit our Men's Wedding Rings gallery. If you enjoyed this blog post post, please share it with the social media buttons below.